Simon Sinek sees a better vision for the world and work, shares his Technicolor vision with us, and inspires us to join him on his journey that will unquestionably benefit us all. It’s hard not to like him and respond (intellectually and emotionally) to his unbridled optimism. Because of his TED Talk fame, his voice and delivery are as iconic as his words—swift, articulate, impassioned. I don’t “read” Sinek’s books, I “hear” them—a remarkable sensory shift reserved only for those who have made an indelible impact. 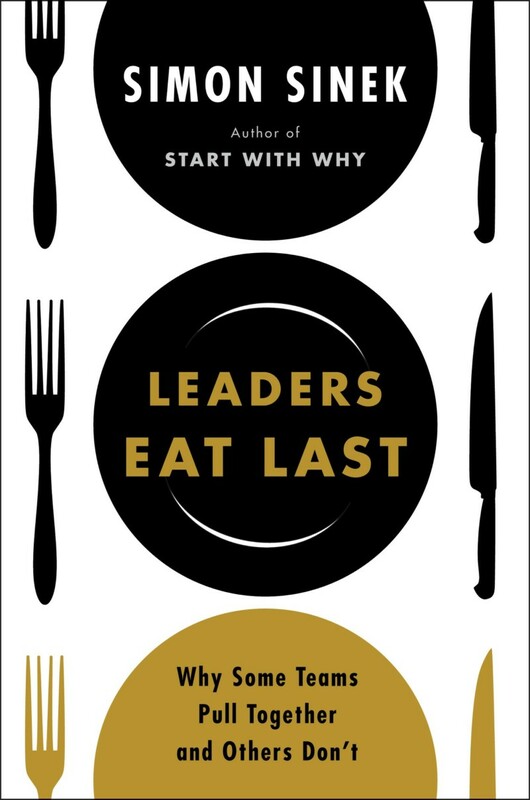 There’s a lot to love about Leaders Eat Last but not all of it is fresh or potently relevant. If you are a Sinek fan, you’ll probably dig it all. Just because. If not, you’ll tease out the Big Ideas, and likely leave the rest behind. I’m of the former but will focus on the latter—the Big Idea that captivated me. And that idea is the Circle of Safety. 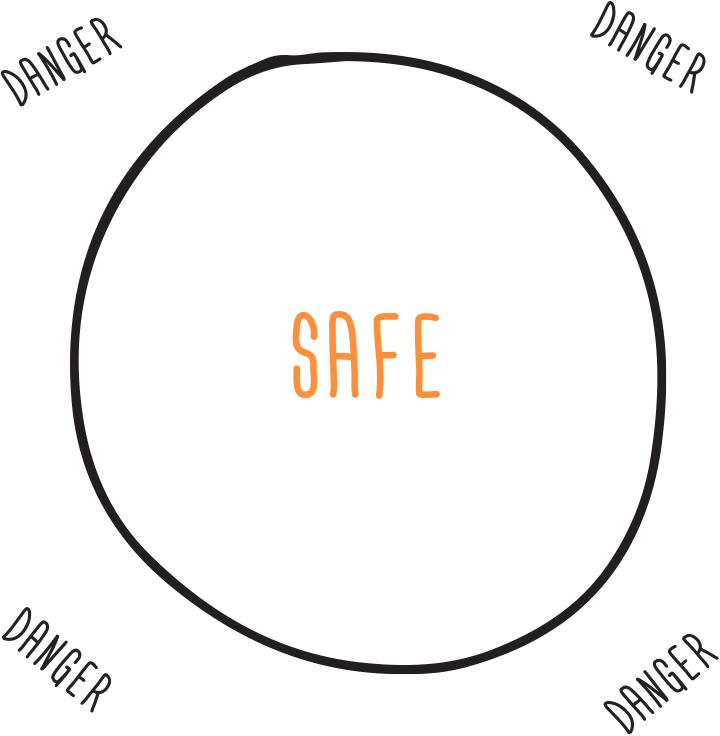 The Circle of Safety is brilliant in its simplicity and universal in its impact. We humans face dangers—technological, governance, natural, existential and more. In our places of work, we are confronted daily with the threat of job loss, competition, and conflict of all kinds. We’re never fully safe but Sinek asserts that when we operate in a Circle of Safety we can pull together as a unified team, better equipped to survive and thrive regardless of the conditions outside. The pre-condition to a Circle of Safety? Trust. We feel safe when “We” is the protector of “Me.” This is when we bring our best selves forward and do our best work. This is when the greatest things happen. Together. We’re not watching our backs. We’re not afraid for our livelihood or the health and wellbeing of our families, for whom our income supports. We’re not engaging in base human behavior to ensure we win and others lose. We don’t need to. We feel secure. Leaders establish the Circle of Safety by their words and behaviors—more so by their behaviors. For example, the leader that espouses collaboration and teamwork but promotes the manager that tells mistruths for self-gain or disrespects and marginalizes others is creating a shadow of fear not a Circle of Safety. When employees know that their leaders are providing protection from above, they can work hard on the ground squashing competition, not squashing each other. When an organizational culture is operating in full-on compete-mode, employees are protecting turf—and their own interests—not each other. However, when greater levels of cooperation are present and reinforced by leader’s behaviors and organizational incentives, trust grows, leading to greater organizational alignment and outcomes. 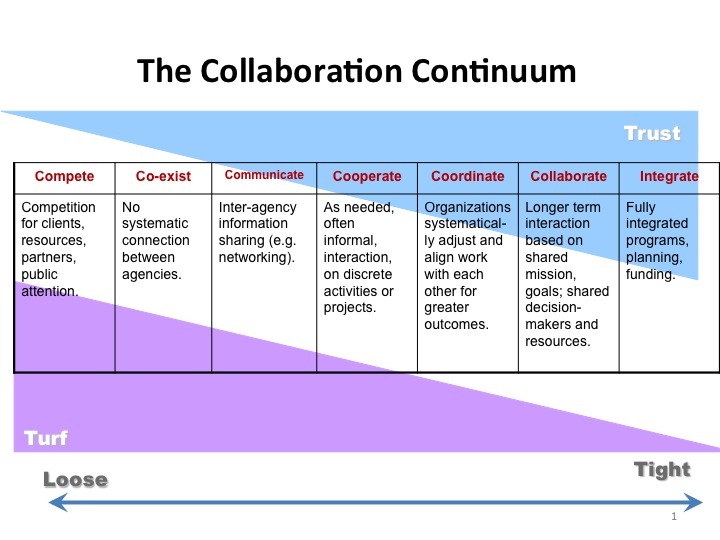 The trick for every company is to strike the right balance on the continuum for their organization and industry—one that sparks healthy competition internally to foster innovation and circumvent complacency, while also keeping unchecked competition and overt comrade-killing at bay—WAY at bay. What are some of the habits and practices leaders can develop and implement to cultivate not only a Circle of Safety but a culture where people pull together to do their best work? 1. Empathy – build it. Use it. 2. Autonomy: give employees more control. Lack of control at work results in stress and emotional strain. 3. Environment is everything – build an environment of encouragement. 4. Get to know your “happy chemicals” – endorphins, dopamine, serotonin, oxytocin. Don’t let the ‘high’ ever cloud your strategy, decisions or behaviors. 5. Be a long-term leader – you’ll be judged not by today but by your collective actions tomorrow. 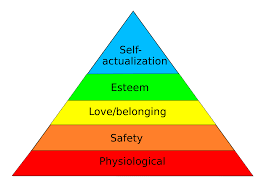 For Maslow, the “lower order stuff” are those things at the base of his pyramid—what he calls “deficiency needs” which include esteem, belonging, security, and physical needs. If these “deficiency needs” are not met – apart from the most fundamental (physiological) need – there may not be a physical indication, but the individual will feel anxious and tense. Maslow’s theory suggests that the most basic level of needs must be met before the individual will strongly desire (or focus on) the secondary or higher-level needs. Although they come at it differently, Maslow and Sinek are pretty much saying the same thing: an environment of safety (or perceived safety) is necessary for human potential to soar. From this perspective, we can see why our nation—and the workings of it—aren’t going so smoothly right now. Many people in our country don’t feel safe—we’ve lost our jobs, we can’t get a job, we can’t afford health care for ourselves or our families, we fear loss of power, loss of rights, deportation, war, degradation of the earth, AI and other technological advancements that are increasingly transforming the way we play, work and live. It’s no wonder so many of us are having such a difficult time empathizing with others, much less pulling together—we’re fearful for ourselves and our future. The answer for our country is no different from the answer for our corporations: strong leadership—leaders who can guide us into the unknown, setting aside their interests for ours, and creating a compelling vision for our future—one that is different but bright. Just like our places of work our place of living needs a Circle of Safety. And with Leaders Eat Last, Sinek shows us what that is, what leadership behaviors create it, and how we actively participate in it.